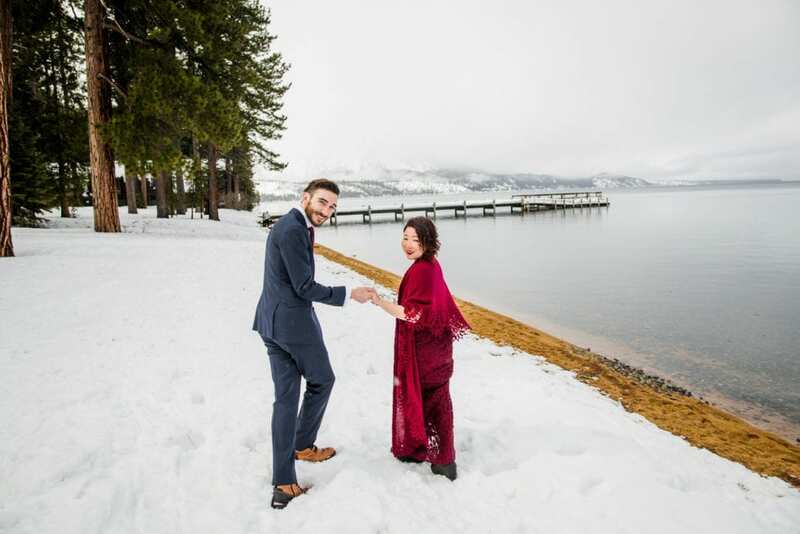 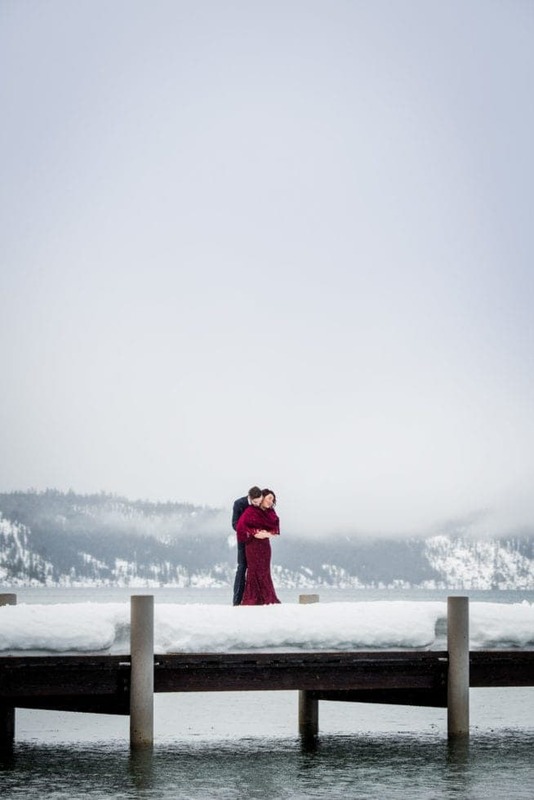 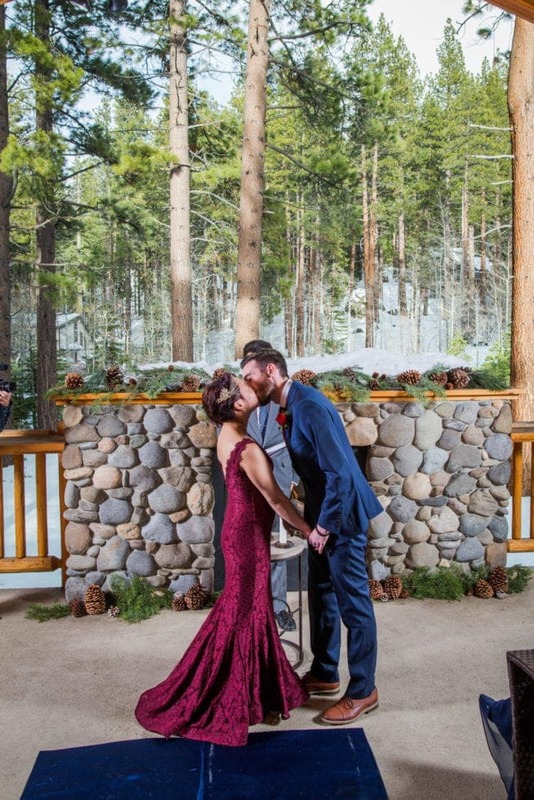 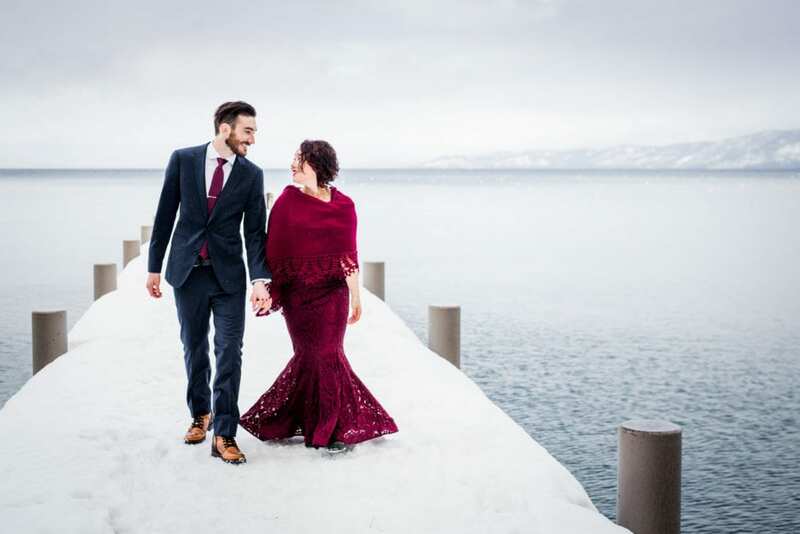 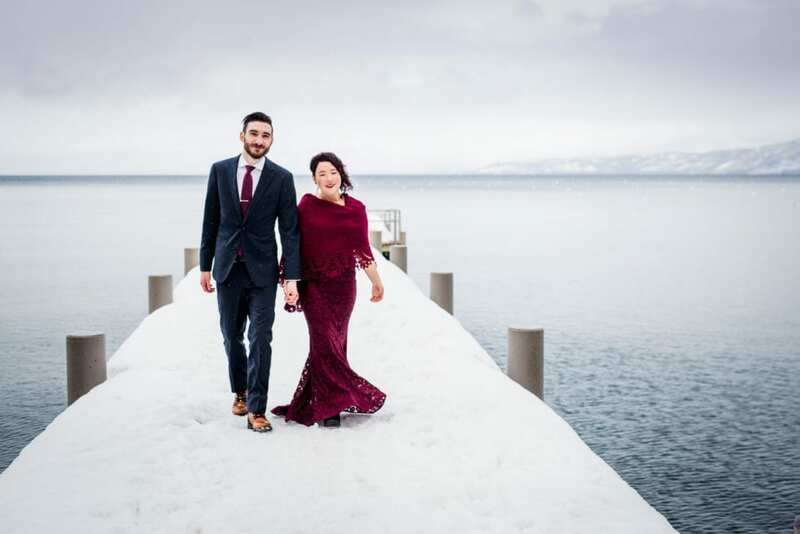 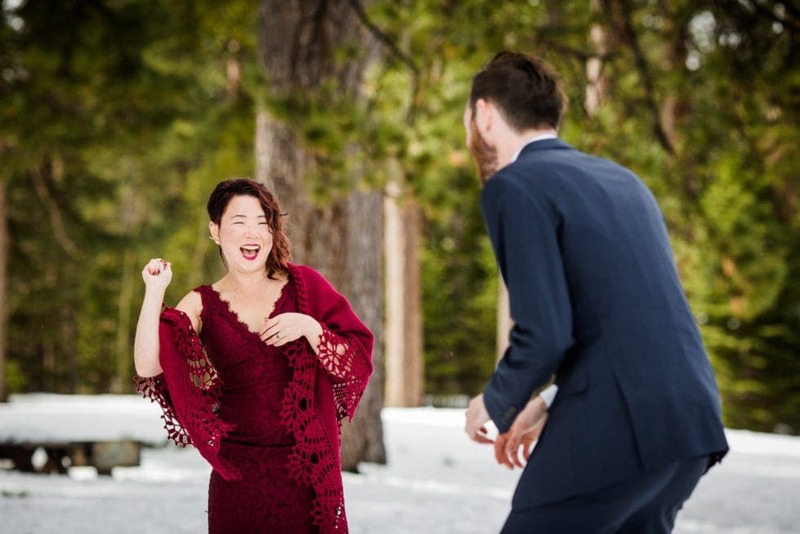 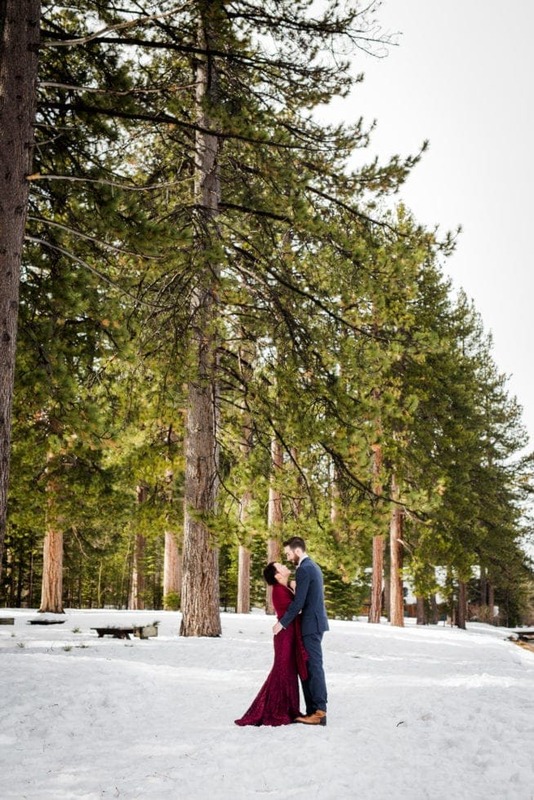 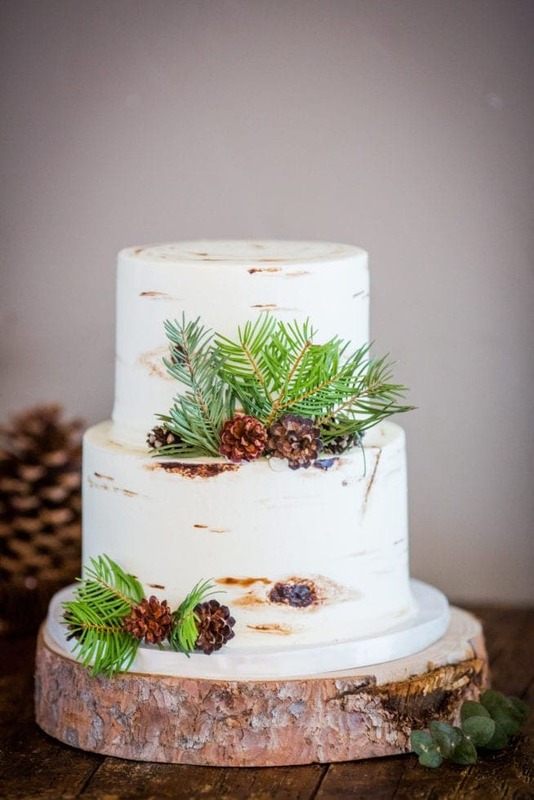 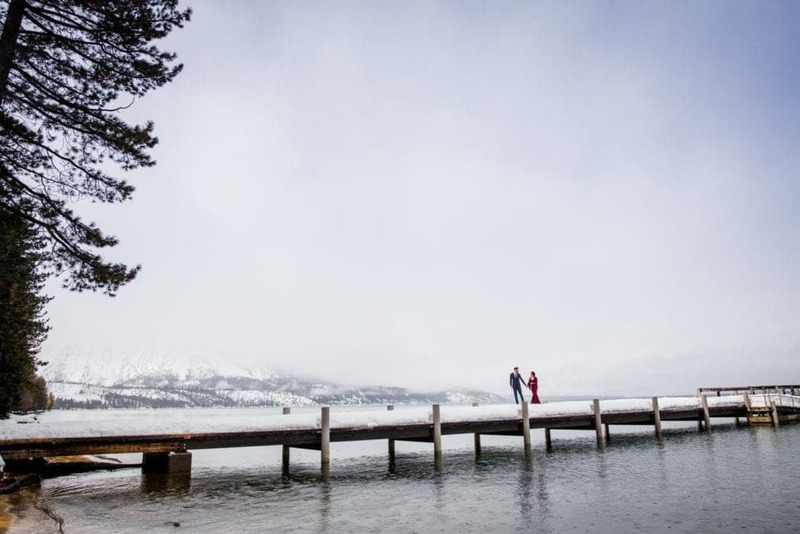 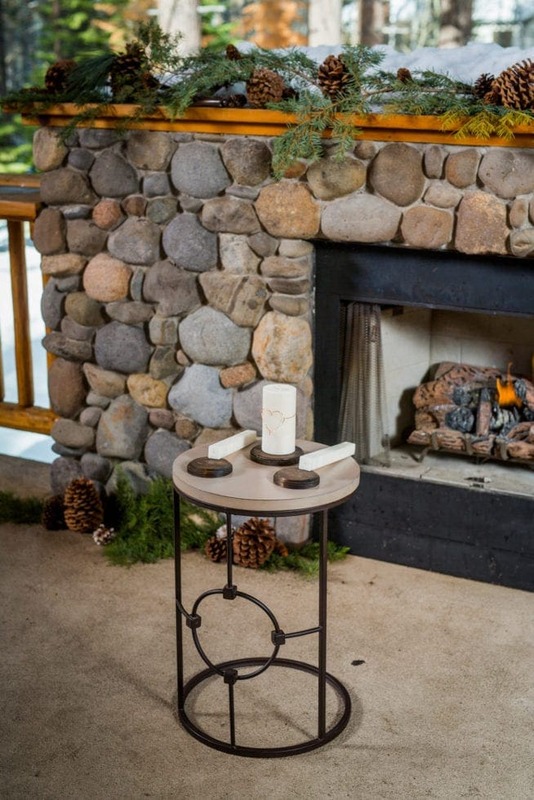 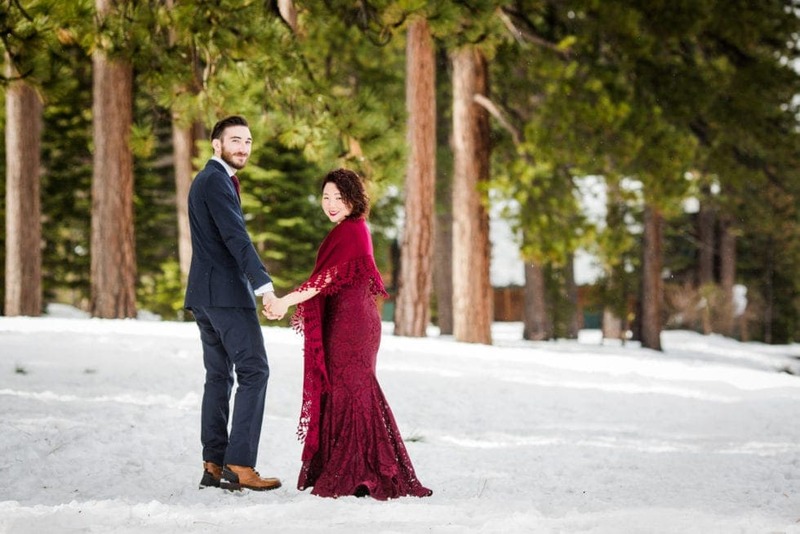 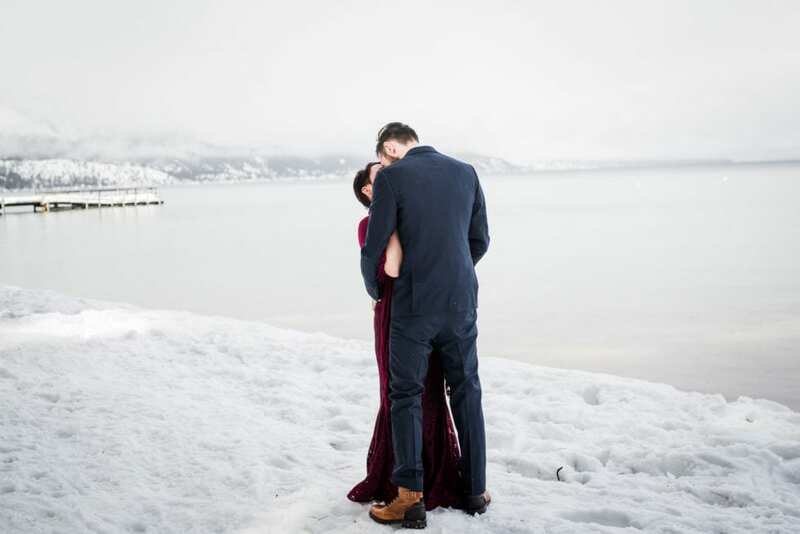 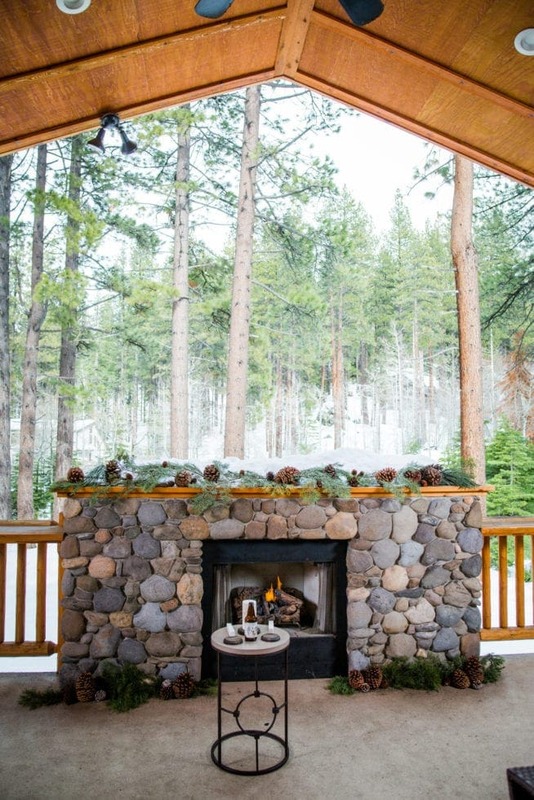 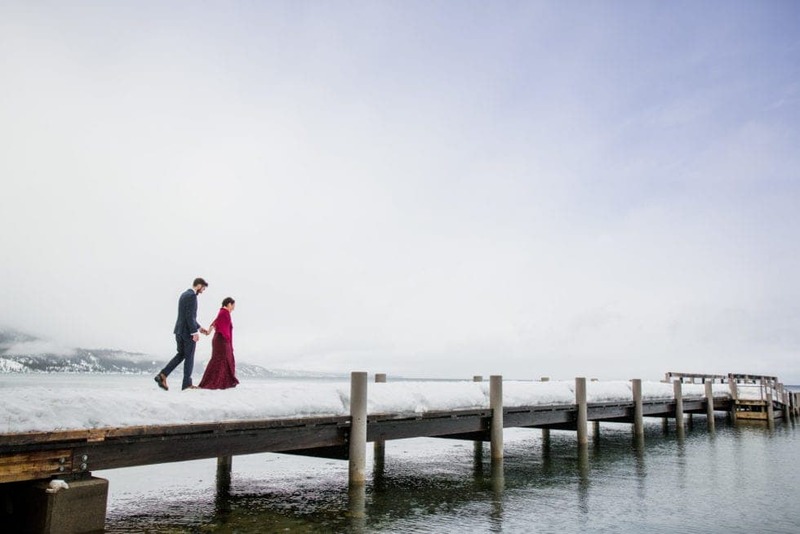 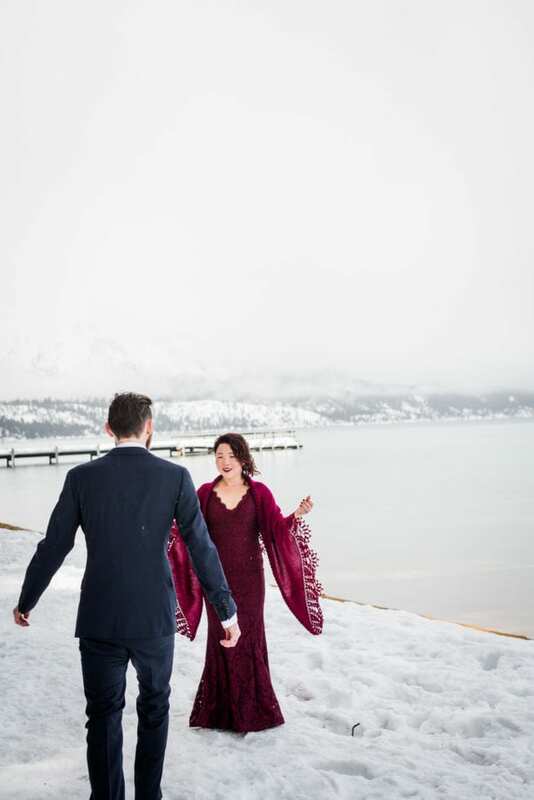 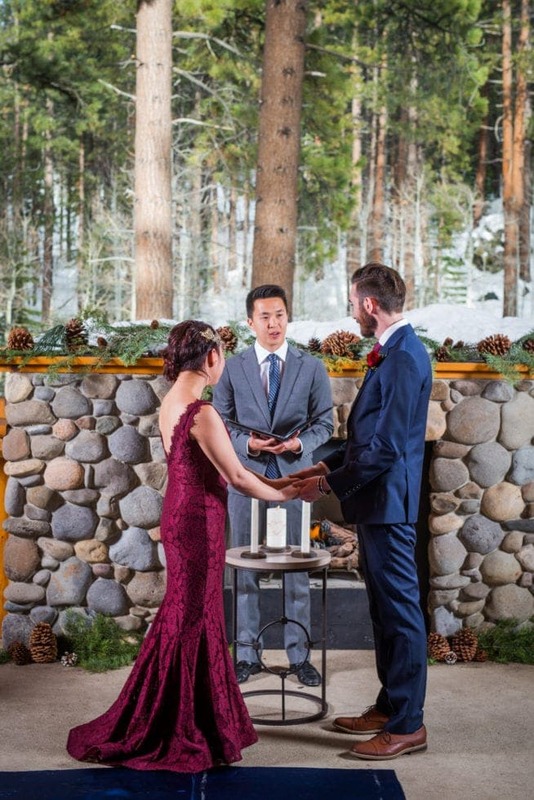 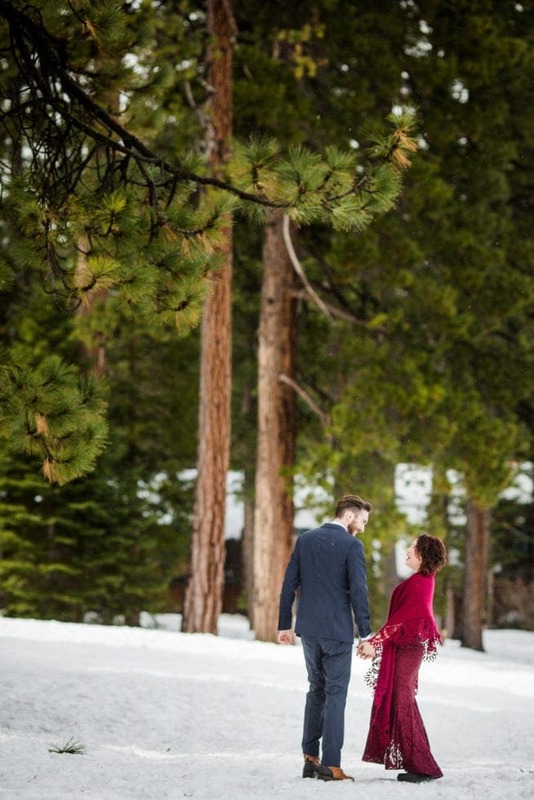 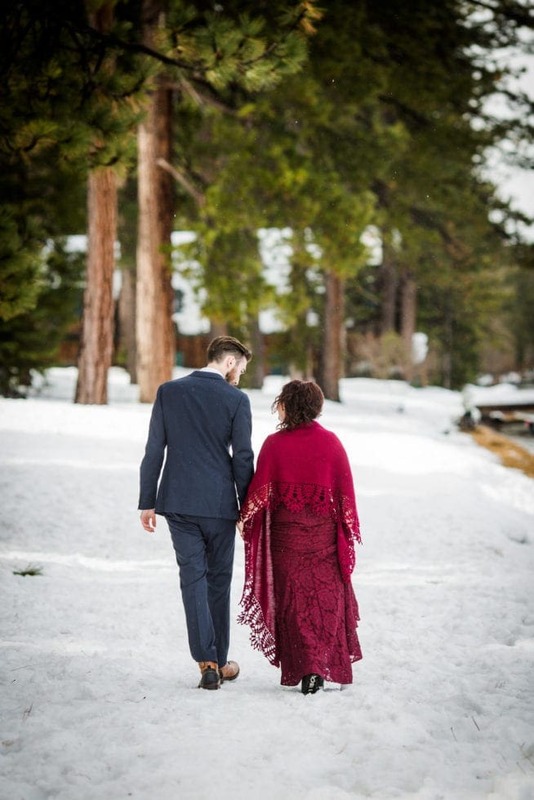 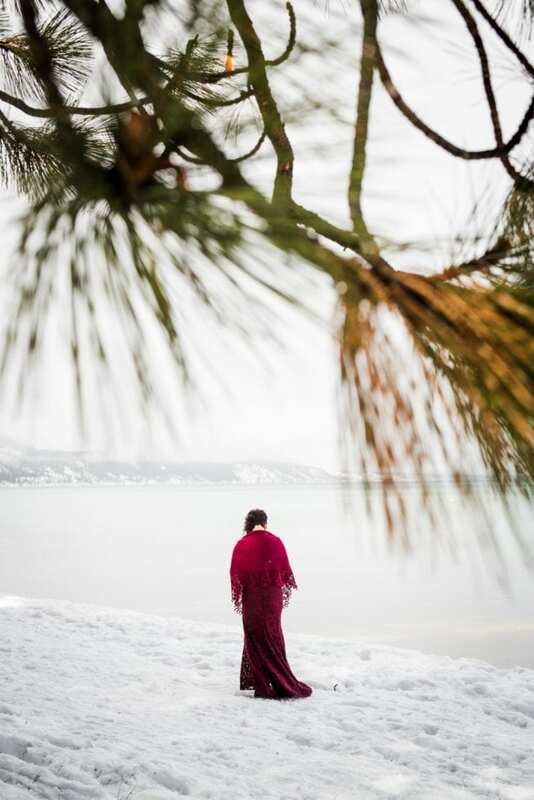 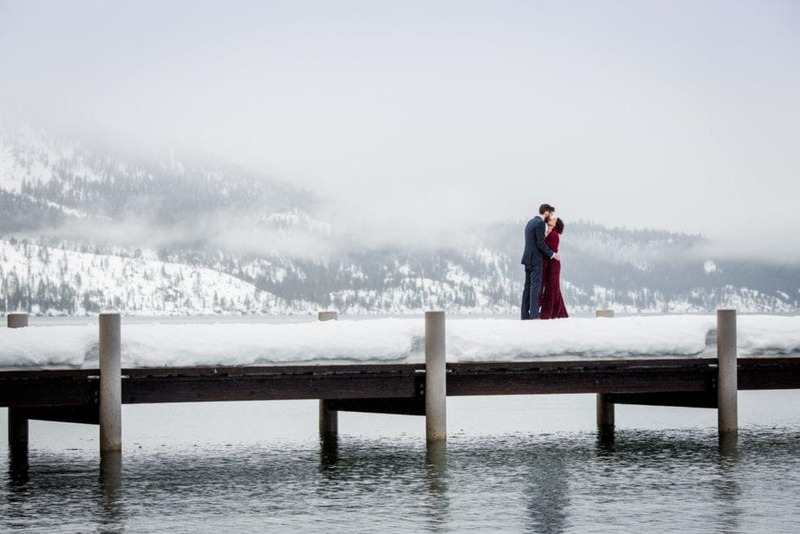 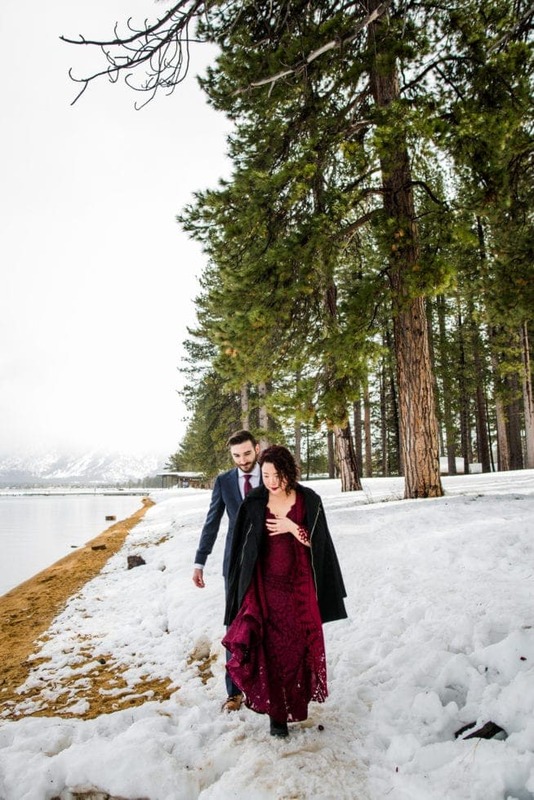 This snowy South Lake Tahoe wedding was a blast! 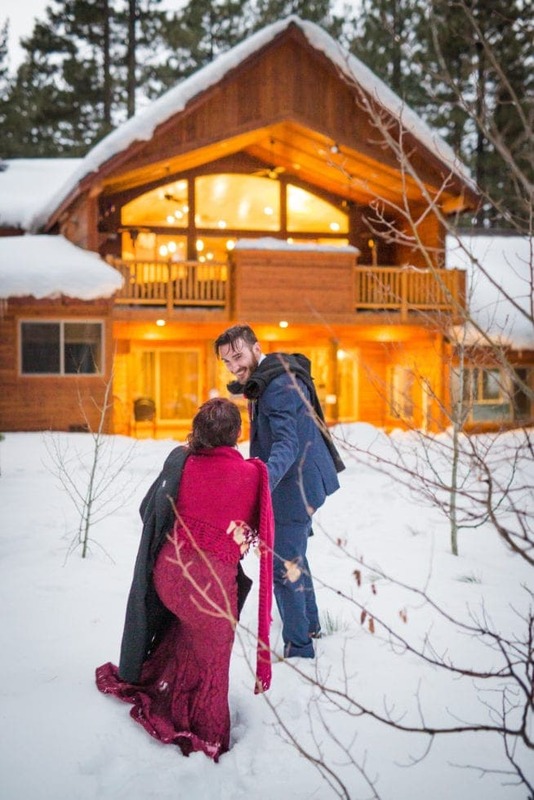 These two rented a cabin tucked into the woods that came complete with beautiful views and a cozy atmosphere. 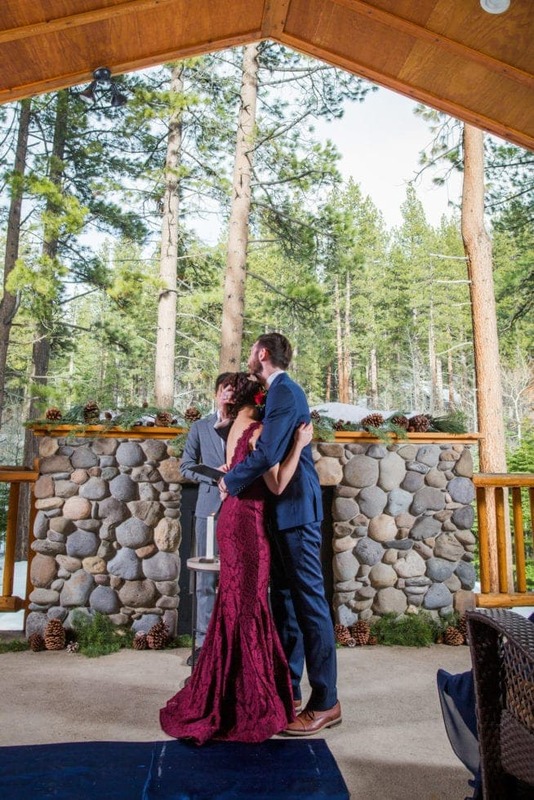 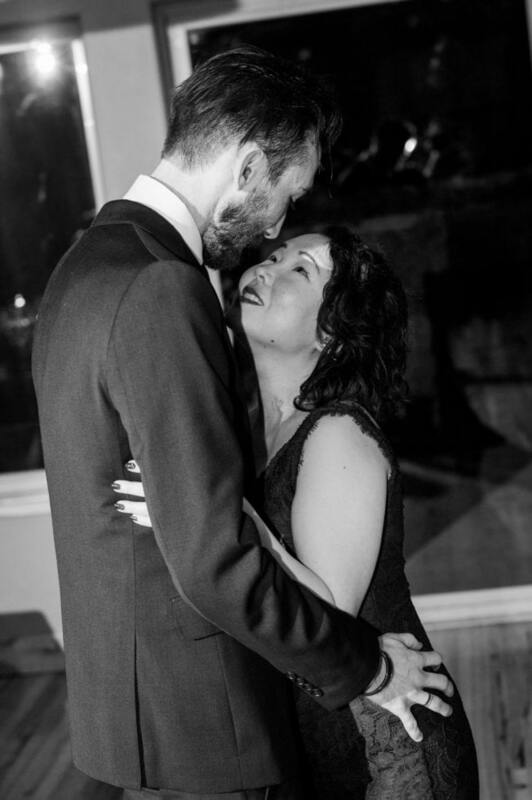 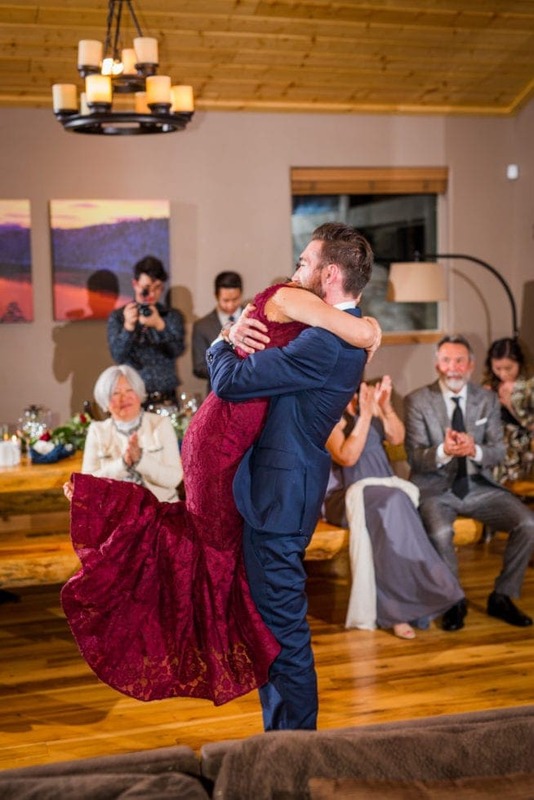 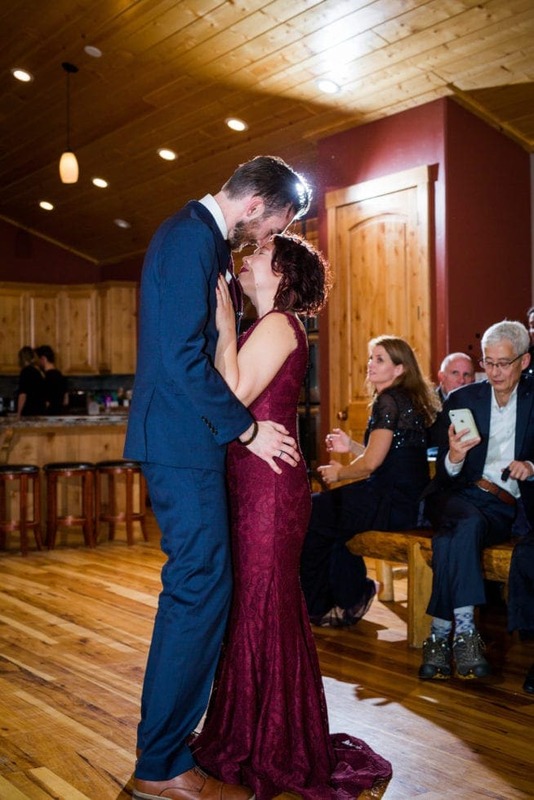 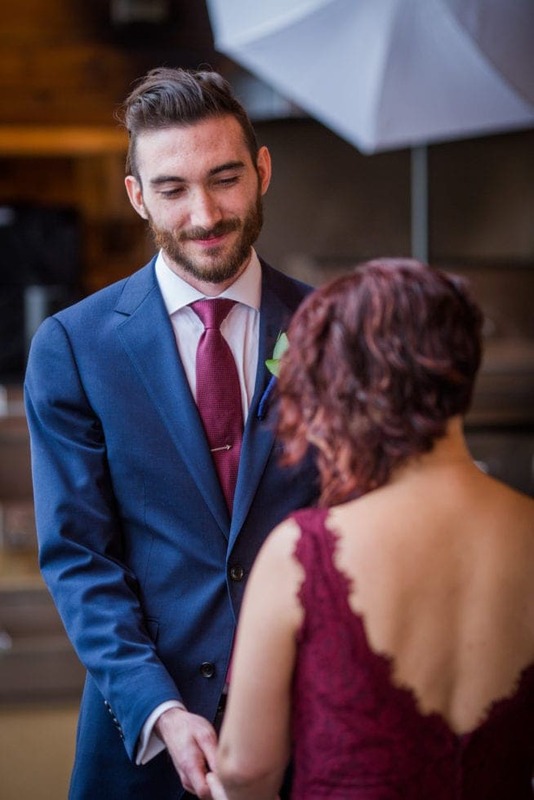 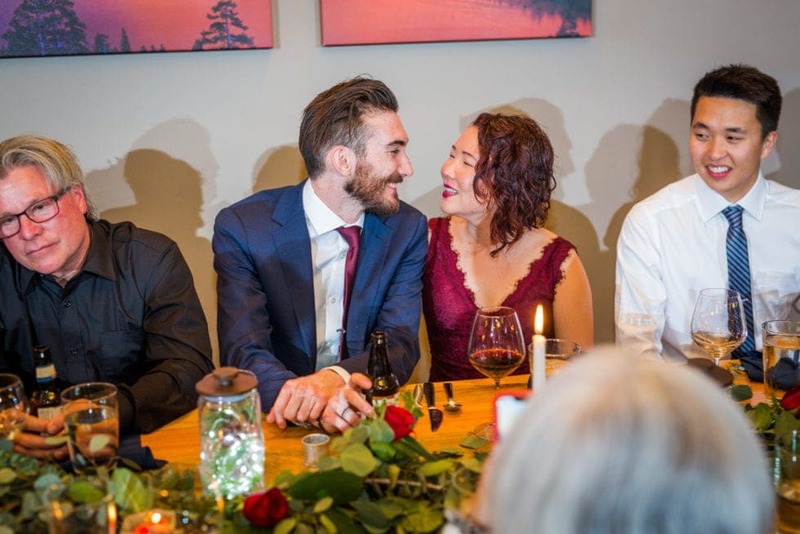 It was perfect for their intimate ceremony with family. 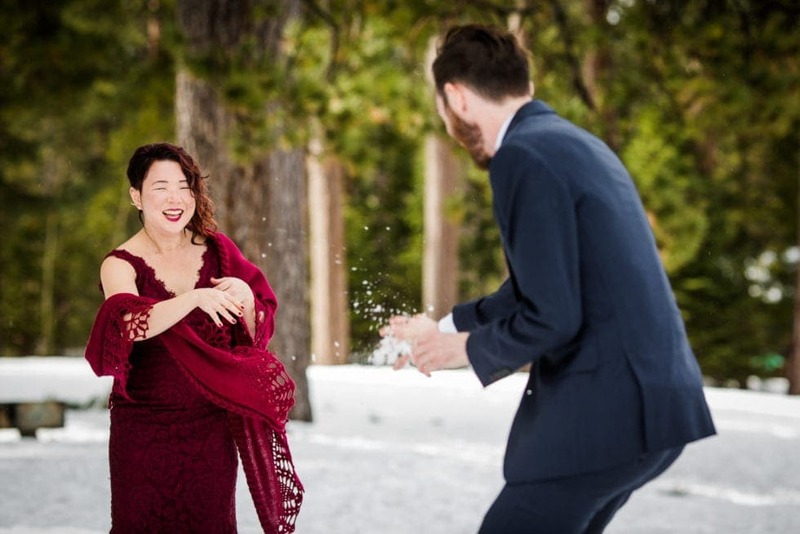 Highlights of the day include adventuring in the snow and a snowball fight! 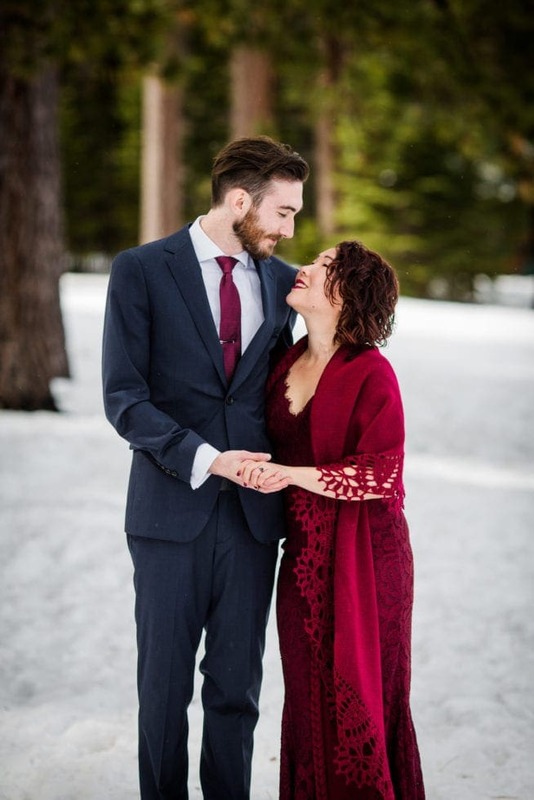 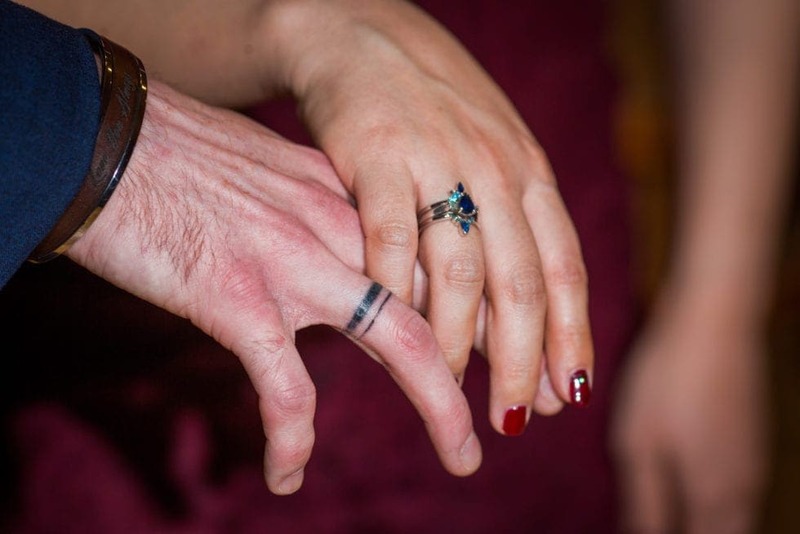 Sara and Matt are so cool that Sara wore this rad red dress instead of the traditional white and Matt even had his wedding band tattooed on his finger. 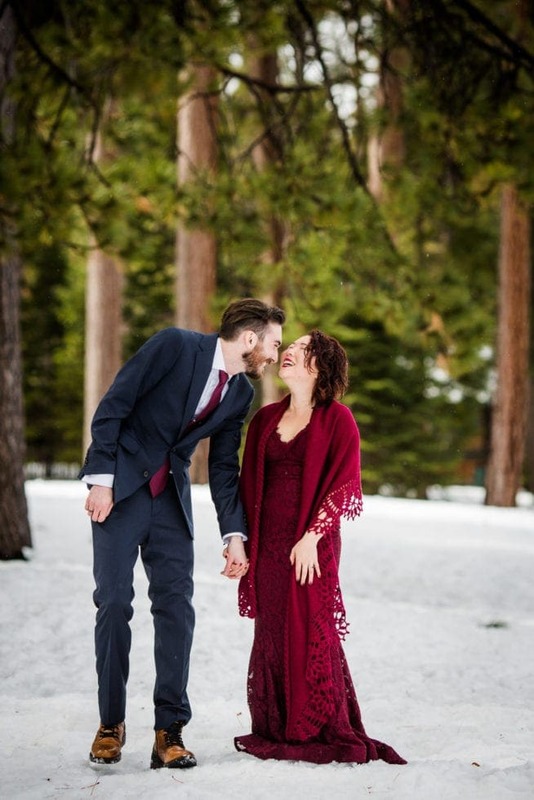 My kind of couple!